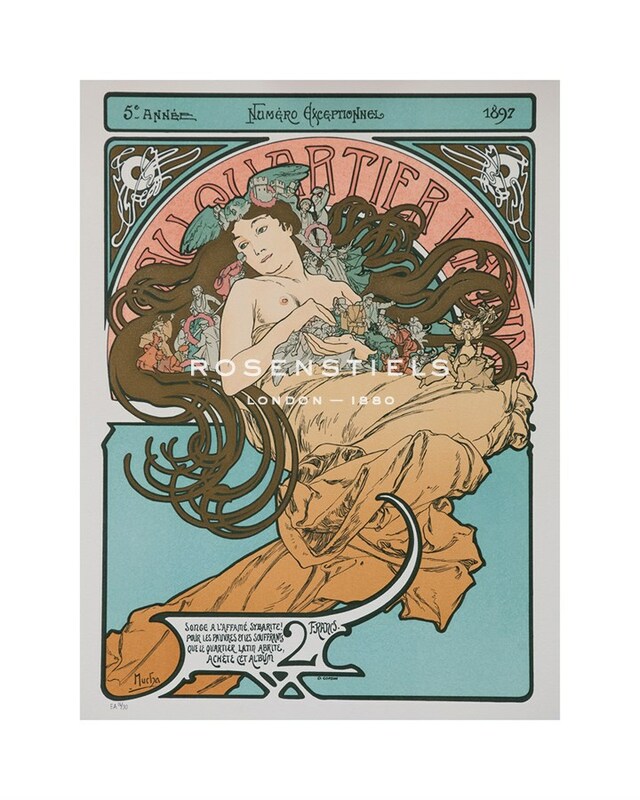 Alphonse Mucha played an important role in the advancement of ‘modernism’ and is today considered to have been one of the principal architects of the influential French Art Nouveau movement, which thrived at the turn of the twentieth century. He was a particularly strong influence on many artists of the period and his style was widely copied, with its blend of natural and abstract decorative patterns. However, Mucha's reputation lay not only in his wonderful painting, but also in his innovative posters and illustrations. He was born in Moravia in 1860, and studied at many institutions across Europe, including those in Prague and Munich. In 1890 he travelled to Paris to meet the great painters of the period, and studied under Laurens, Boulanger and Lefebvre. From 1895 to 1910, Mucha was a respected leading light of the French decorative art world. In 1910 he retired to Prague and there produced a substantial body of impressive work, characterised by his delicate portrayal of detailed images.